Published: Jan. 15, 2011 at 09:06 p.m.
(1:39) R.Mendenhall up the middle for 2 yards, TOUCHDOWN. 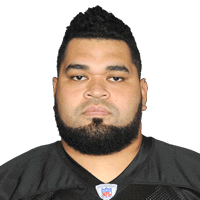 PENALTY on PIT-C.Kemoeatu, Unnecessary Roughness, 15 yards, enforced between downs. Published: Jan. 15, 2011 at 08:08 p.m.
Steelers RB Rashard Mendenhall scores the game-winning touchdown from 2 yards out in the fourth quarter.